I’ve been thinking about posting this article for a long time now. 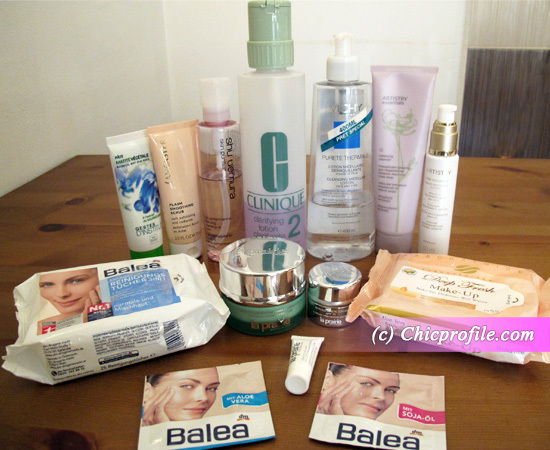 I’ve been away from Chicprofile for the whole 2011 year and during this time I used a lot of face care products from different brands. Probably I will make another post with the face care products I used in the last 6 months but for now I just want to show you which are the ones I’m currently using. 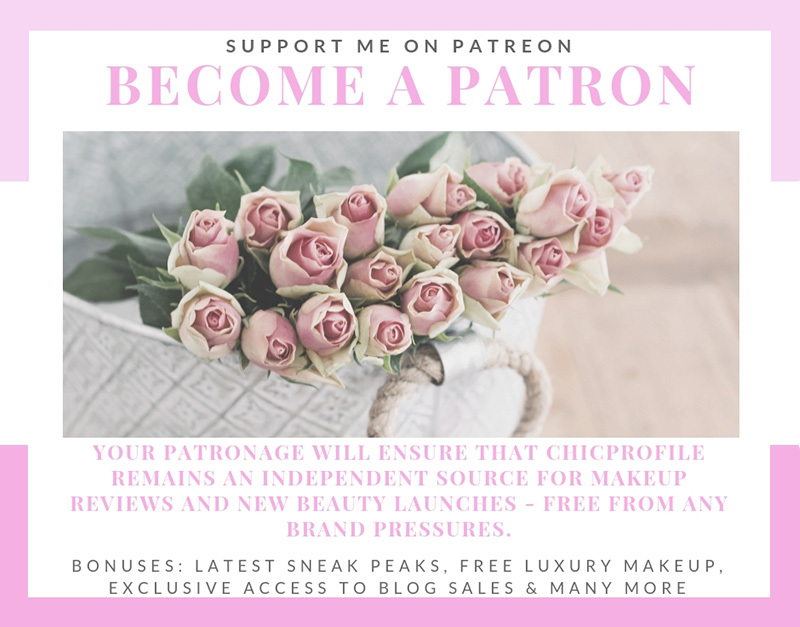 Some of you know that I prefer high end brands when it comes to take care of my complexion and if you have been reading Chicprofile in the past you probably noticed that La Mer and La Prairie are my favorite cosmetic brands. I’m also loving Clinique, Lancaster, Shu Uemura and I don’t say no to drugstore brands, because in my opinion the best products for my skin doesn’t have to be the most pricy. I would love to know what products are your currently using, especially if you have oily to combination and sensitive skin like me. I really like to hear what are your favorite face care products and how important is face care routine for you. Do you take more care of your skin rather then cover it with makeup all the time? Please share your thoughts with the rest of us. 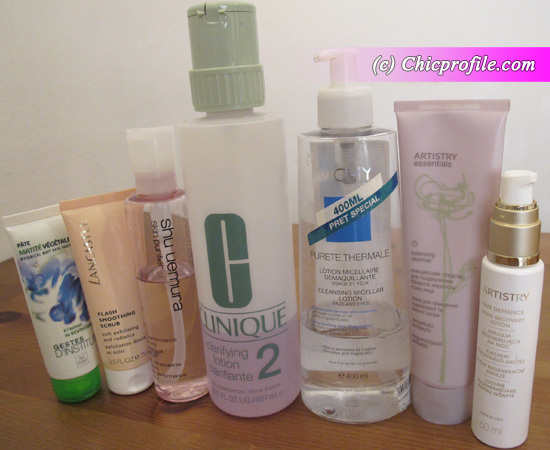 For me, face care routine is very important and it has been very important for the last 12 years. I don’t wear makeup everyday, I give my skin time to breathe and I never go to sleep without cleansing my skin (even though I didn’t wear makeup that day) and applying my face and eye cream. Here are the products I’m using everyday (some more than others) so I will give you my quick opinion about each and every one of them. 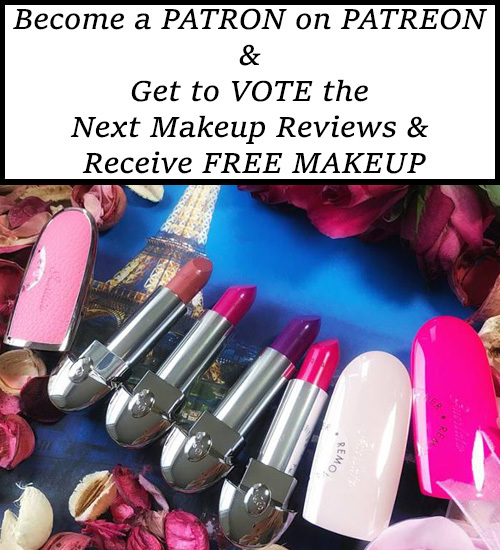 If you want me to review any of these products separately please just let me know. I have combination skin (oily in the T-zone) and also my complexion is very sensitive. The advantage of having combination or oily skin is that once you get older your wrinkles won’t be so visible like if you had dry skin. If when I was a teenager I had to fight all those pimples, breakouts and nasty red spots because of the oiliness of my skin, now at my age I can enjoy that my complexion is aging slower than the ones having dry skin. This is my go to lotion for removing my makeup but I also used Bioderma and other micellar lotions. I just bought this one out of curiosity and because I wanted to try a different face&eye makeup remover product. I’ve been using this tonic for more than 5 years now and even though I tried different tonic lotions during this time, my skin just simply loves this one. I just bought this product because it was recommended as a great makeup remover product especially for oily skin. Since Shu Uemura is not available in my country I was happy to find it available in one store while I was in vacation. I’m always using a cream by La Prairie. I know it’s a luxury brand but my skin deserves the best and result are simply amazing. I can’t afford to have the entire face care collection that I want from them but I try to have at leas once face cream or eye cream. It can be found under two different names. They said they change a little bit the old name, but when I last bought this I found it again with the old name so both names are OK. I have tested this only as a sample of 5 ml which I’ve been using morning and evening for the past week. When I go to Dm store I like purchasing different types of Balea Facial Masks. They come as samples so you have the right amount for one application (8 ml) in every package. I’ve been using different masks for about 4 months now. My favorite is Balea with Zinc Mask because mattifies skin, absorbs the sebum excess and it’s great for oily and combination skin. 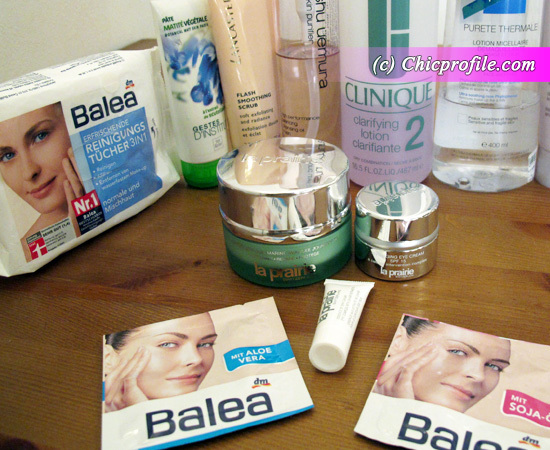 I’ve also used Balea Anti Age Mask and this helps reduce fine lines. Contains Soja oil which diminishes wrinkles with every application. When you remove the mask you don’t have to rinse your face, you just simply take a cotton diskette and clean your face. Instantly hydrates the skin. Contains Q10 and Vitamin E.
Balea with Aloe Vera Mask helps maintaining skin balance and fights against premature skin aging. My skin becomes instantly refreshed, smooth and velvety. Contains Shea butter, honey and Jojoba oil. For oily and sensitive skin I am curently using LRP Hydraphase Intense Legere (I think you saw it in my photo on Facebook). It is nice but I just started using it and I hope I will love it. I have oily skin too and I’m currently using beautyclycle from Amway for my daily routine which works for me great and Yves Rocher Effaclar Duo which is a fantastic mattifying cream-gel for imperfections. La Prairie is a HUGE waste of money. Paulab Begoun explains why on Beautipedia. Basically this over priced, over hyped product doesn’t work nearly as well as tried and true non gimmicky products such as RoC Multicorrexion night treatment or Olay Regenerist Daily Regenerating serum. More money does not equal better product when it comes to skincare products. I highly recommend you check out Paula Begouns site beautipedia.com to read up on your products and see why some are truly useless (jar packaging for example is the worst..the active ingredients quickly degenerate after opening. Research and evidence based reviews on her site have taught me tons and saved me money on products I may have bought that would have been overpriced junk or evn harmful. Do your research before plopping down your hard earned cash ladies!